I feel like I could tell stories about the conference every day for a year. Still, I promised 5 stories and I’ve only told two of them. The last three will be told as succinctly as possible, with the inclusion of some low-quality video. Last Saturday, a group of us decided to leave the hotel for real food. We asked the hotel shuttle driver, Nick (or Alfred, or Willy, depending on who you ask) for a recommendation. 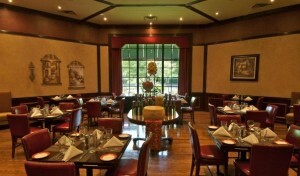 We decided on The Rosebud (pictured above), an Italian restaurant a few miles from the hotel. On the way to the restaurant, Nick tells us that he used to be an attorney. We’re all looking at each other like, Really? Then why are you driving the shuttle for a hotel? And he tells us. Years ago, our friend Nick had some Mafia connections. I’m not sure how it related to his law practice but I could take a few guesses. He was arrested, refused to be an informant for the police, and spent 15 years in prison. And our last-minute dinner reservations were courtesy of his friendship with some of his former buddies. Now, I wasn’t sure I believed this story. I could see how the life of a hotel shuttle driver could get a little boring, and how it would be fun to freak out a vanload of young female bloggers. But then we entered the restaurant, where we were swept past a ton of people waiting for tables, seated, fed, and back in the shuttle within an hour. I’m sure Nick received a twenty in his pocket for bringing The Rosebud some business. The food was awesome. But I couldn’t help wondering if we would be held hostage until he repaid some kind of Mafia debt. Moral of the story: Be nice to people in the service industry. You never know how they came to do what they do, or what kind of connections they have. 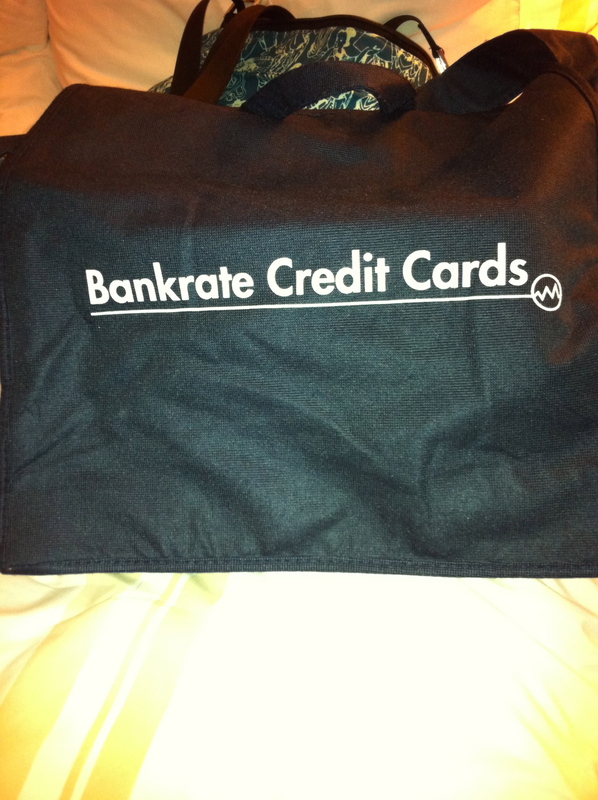 Can I talk about the swag bags for a second? Then there was the weirdest swag of all – a snowglobe from Regiftable.com. 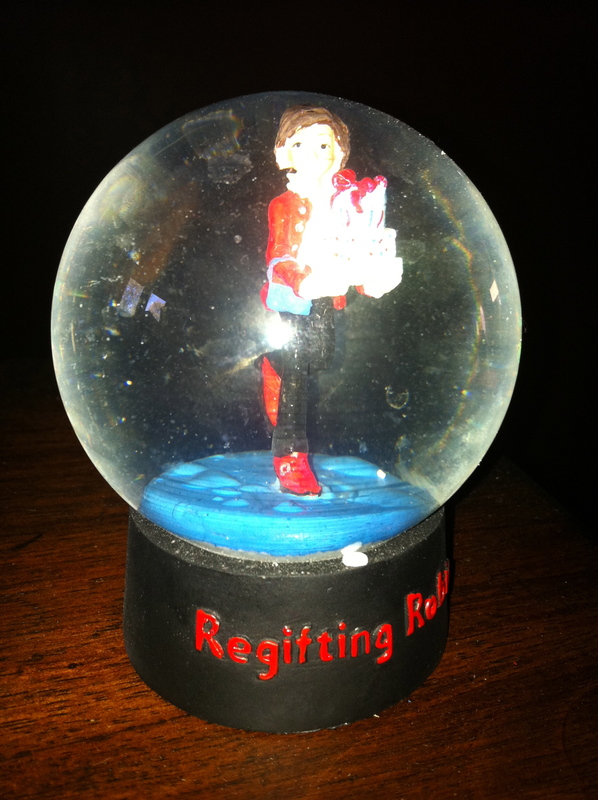 The snowglobe features a chick with some presents named “regifting Robin.” First of all, who the hell is Robin? Second, why would you hand out nearly 300 snowglobes to people who have to take a plane to get home? I think a few people managed to get theirs past airport security, but the majority left theirs either at the airport or the hotel. Since I drove, I was able to take mine home, but I really don’t know what to do with it now. MOST. RANDOM. SWAG. EVER. Moral of the story: Think about swag before you give it out. Please. Saturday night at John Barleycorn (where I met Kyle the douchebag), most of us spent the night in the upstairs bar/dance floor area, which was packed with bloggers and random people. There was also a bachelorette party going on. There was this old dude dancing around who had to be in his sixties, if not older. He wore this old school silk jacket with THE STORM written on the back. Obviously we knew we were in the presence of greatness. At one point during the night, Ashley from Money Talks and I were fortunate enough to receive moonwalking lessons from THE STORM himself. Between several drinks and my shoes, I was pretty much failing at doing the moonwalk. He gave up on me after a minute and (I think) succeeded in teaching Ashley. Later, we found out that THE STORM is well known in the Chicago area nightclubs. Moral of the story: Old age is no excuse. This video is terrible, but you do get a decent view of the jacket. That mafia story is great. My family is from Chicago, and my aunt always tells mafia stories – like she drove around Al Capone. I don't know if I should believe her or not, but they are fun stories. I have family there too, and they all seem to have similar stories. I don't know if the Mob is that widespread or if they just feel like those are the stories people expect! Hah. Krystal (at work) and I had a good laugh at the swag also. Opening the snow globe particularly was a WTF moment. I love how the woman behind giving that out said that she didn't think about how that can't get through security. I love how she also didn't think about the fact that no one wants a snow globe that says "regiftable" on it. Hey, sponsors, next year how about donating $5 per person to a good cause? That's a better use of your money. You know, I thought a lot about that. If it had the Ally Bank logo inside it, for instance, I wouldn't feel so weird about it. 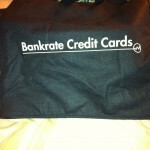 Just free bank stuff. But an unrecognizable character from a website no one has heard of? Weird. 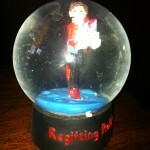 I think I'm going to "regift" the snowglobe to someone I really dislike. I've been calling it the regrettable snowglobe. Haha… I left my snowglobe in the hotel room… you probably saw it. You should have snagged it… two regiftable snowglobes! The food at Rosebud was AWESOME! So good… and huge. If I ever end up there again I'm totally sharing with someone. The storm! My friend had picutures of him on her phone with a DIFFERENT jacket that said "The Storm" on it. I should get her to email me them and send them to you. No way – he has multiple jackets?!?! Someday I hope I'm cool enough to have a nickname like THE STORM so I can have my own jackets. I thought the foam hand and the snowglobe were two of the worst swag items I've ever received. I am so sad my bag didn't include the calculator (I heard they didn't have enough). Thank you Adaptu for having t-shirts cut for women! I actually have to disagree with you. The Christmas after 9/11 my mom, sis and I went to the UK to see family. Em bought a large snow-globe and decided to bring it back to Canada, we took it on as hand luggage. We got it though customs and everything. I tried to bring quail eggs back as well, during the whole mad cow episode. My sister ratted me out to customs and then put her globe on top of my coat that was tossed over the luggage cart. The eggs were confiscated and the globe came crashing down. I think I have always held a bitter sweet kind of revenge feeling, she lost her globe I lost my eggs. Pathetic I know, but childhood feelings never quite fade. That's kind of hilarious! Thanks for sharing that story; gave me a laugh for the day. Thanks so much for sharing all of this. It is great for me since I didn't get to go. 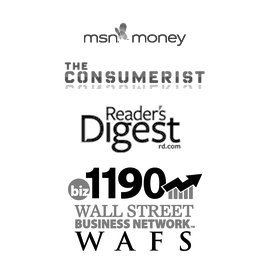 Today I am sucking all fincon related articles, wherever I find. This was good coverage!